Umbrella will protect you from the rain or hot sun. Now a US company has developed an umbrella can do more than that. This umbrella will indicate you if it is going to rain! The umbrella that can forecast rain is developed by Ambient Devices, a company which specializes in integrating internet information into daily products. The umbrella features a built-in radio receiver in its handle that receives weather data for 150 US locations from a weather forecasting site, Accuweather.com, via a propriety wireless network. The forecast result will be indicated to the owner via the umbrella’s handle. 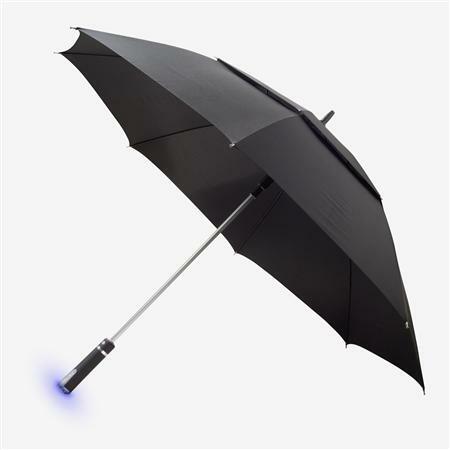 The umbrella’s handle will light up if the forecast result is for rain in the next 12 hours. The light also tells you the type of rain. For instance, soft and intermittent pulses mean light rain while a very rapid and intense pattern signal thunderstorms ahead. 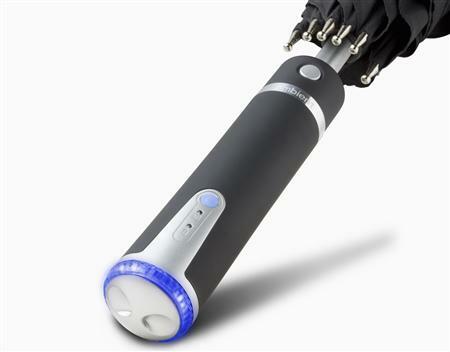 The smart umbrella is battery operated and requires activation via a customer service phone line. It is priced for about $140.